We finally brought out the letter magnets that I’ve had tucked in the closet for over a year. I can no longer find my refrigerator. Babystar likes naming the letters now. Not all of them; she has favorites. And she is convinced that we have two ‘W’s. Also, unrelated, Babystar fell in love with this rainbow ball at Micheal’s. 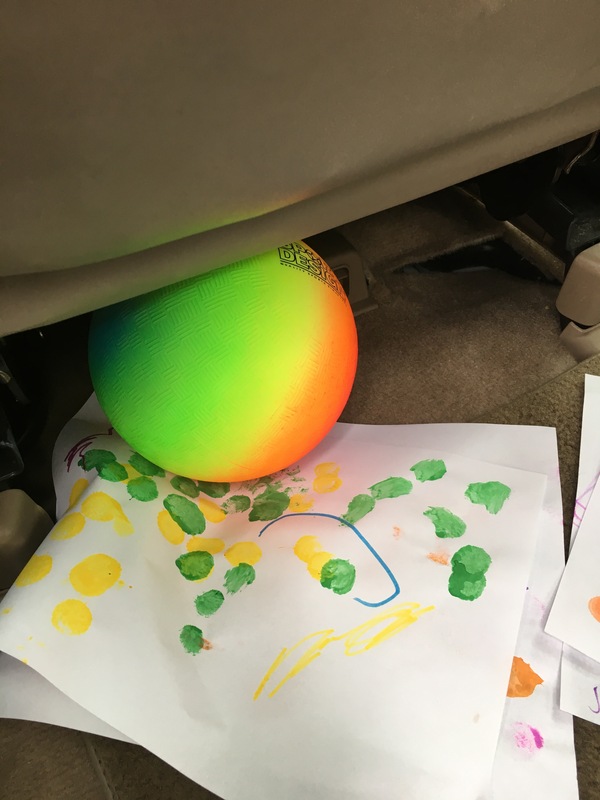 I posted all about the crayons and stickers but forgot about this ball. And so did she, apparently, because it is currently under my seat in the van. $4. And another balloon joined our family. 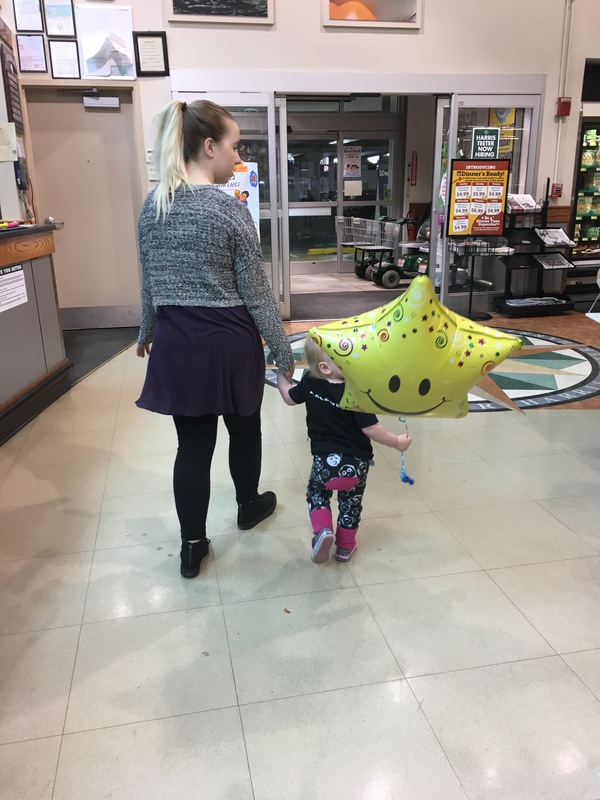 Babystar asked for the ‘LELLOW STAR!’ at the Harris Teeter checkout line and then I almost died when I handed it to her and she very clearly said, ‘thank you, mama.’ But I recovered long enough to pay for it. $3.50. We have also been to Busy Bees (more B’s!) twice lately with my darling niece, during 2-for-1 Tuesdays. $15. Previous Ponies and Cars and Ponies and Ponies.